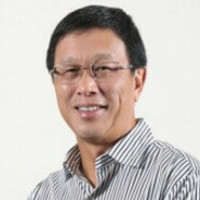 Mr. Vernon Khoo is the Chairman & CEO of Flagship Corporation Far East Pte Ltd and Group Managing Director of Kuantan Flour Mills Berhad. He was previously Managing Director of Sinamex Asia Pacific Pte Ltd, and successfully grew it into one of the most successful commodity trading companies in the Asia Pacific region. Vernon is also the Chairman of the Industrial and Services Co-operative Society Ltd, a social enterprise under the Yellow Ribbon Project with the primary aim of helping ex-offenders re-integrate gainfully into society.